Sadly Donna died on the 30th January this year after a short illness. 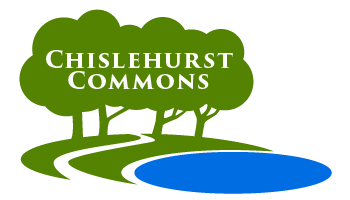 Through her many endeavours she was an amazing supporter of Chislehurst Commons and we offer this tribute in her memory, penned by Colin Yardley, a long standing Commons Trustee. “America’s loss is very much our gain. Donna would be a community leader wherever she lives; it is our great luck that she crossed the Atlantic to live in Chislehurst. She is enormously missed by St Nicholas Church, by Chislehurst Beaver Scouts, by her art classes for children and for adults. Donna is the inspiration behind the Chislehurst Big Draw, held on the Common each September since 2004, usually attracting over a thousand adults and children. The success of these events won so many awards from the national umbrella organisation that it asked Donna not to enter the Chislehurst event for a few years, in order to give somewhere else a chance to win. The unpredictability of British summers would deter many from organising any outdoor events, but not Donna. Her open Air Cinemas have attracted hundreds of hardy film-goers. Queen Victoria’s Diamond Jubilee in 1897 filled the Village Green, alongside Church Row, with hundreds of locals enjoying a picnic. It was Donna’s idea to do the same again, 105 years later, celebrating the Diamond Jubilee of our present Queen. We can tell from an old photograph that even more people were there in 2012. Fast on the heels of that event was the giant tea party in celebration of the Queen’s 90th birthday in June 2016. As well as drawing the local community together, counteracting the many social forces which could divide it, Donna’s events have created a great deal of happiness and, just as a handy by-product, have raised a total of over £70,000 towards the upkeep of Chislehurst Commons. She has the knack of drawing so many other people into her schemes, some of which at first seem crazy. Some leaders are imperious, or strident. That is certainly not Donna’s style. Her go-getting, enterprising spirit never causes resentment, because she leads by example. Her energy, sparkle and flair are infectious. She is loved and revered by hundreds.